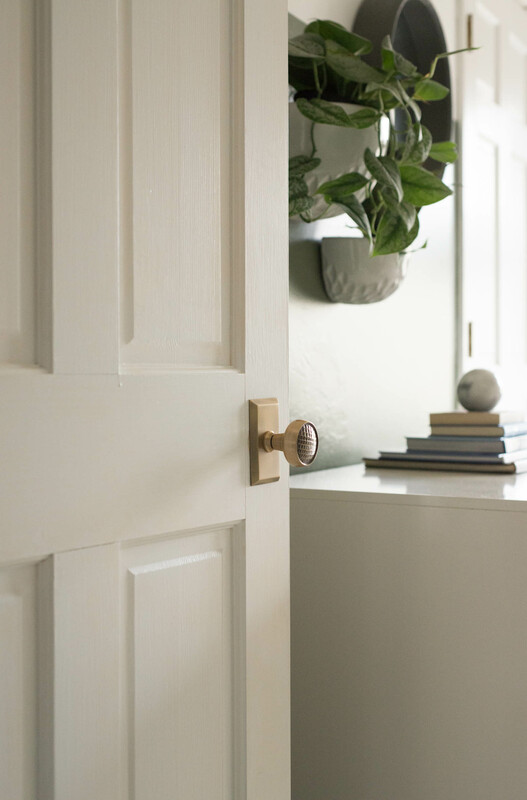 I was able to partner with Nostalgic Warehouse last year when I transformed our hallway doors and, as a part of that, they sent me two extra door knobs (Studio Short Plate and Craftsman Knob in Brass) for our closet doors in our guest bedroom. 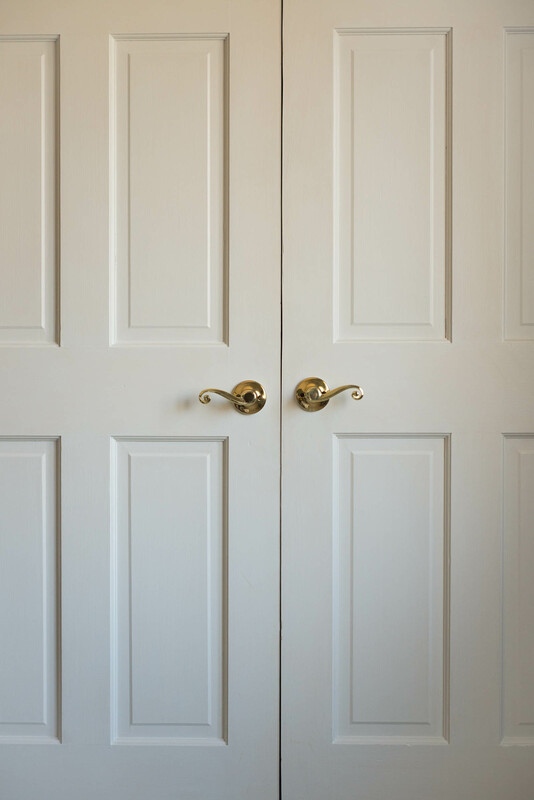 Before we jump right in to the tutorial, look at my closet door knobs! So you can really appreciate them for their new look, let’s back up just a bit and I’ll show you the closet door knobs and what they looked like BEFORE. I’m such a huge advocate for quality upgrades in your house. 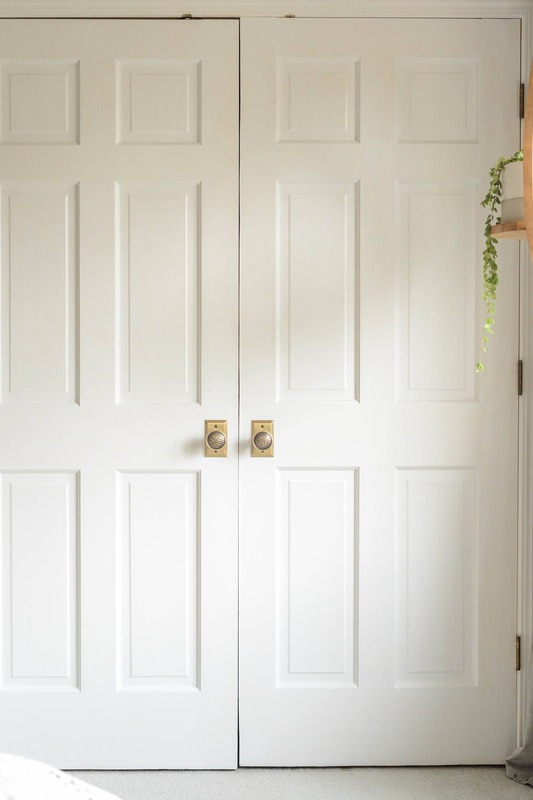 Whether that be door hardware, baseboards, a new door itself or wood flooring, I firmly believe that these types of investments yield the biggest satisfaction longterm. Ok, so back to this project. Let me explain just a bit before we get to the door knob installation tutorial. 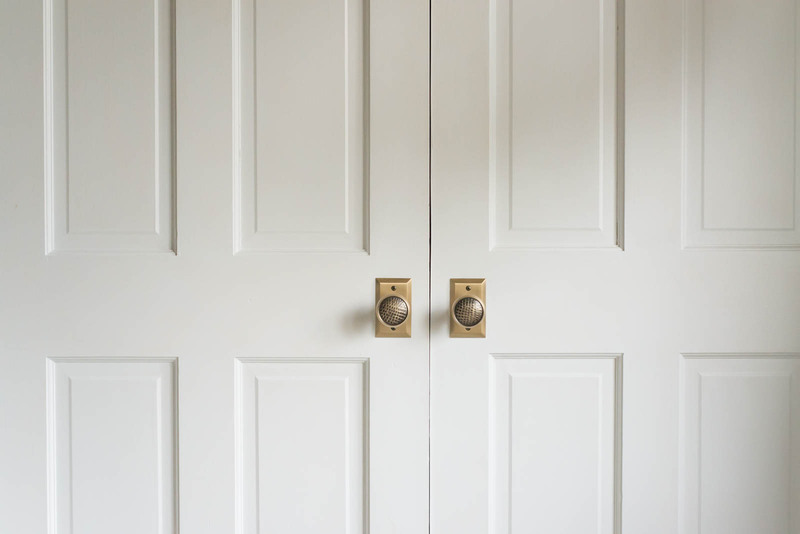 What Does Dummy Door Knob Mean? It’s a full size door knob that doesn’t have a mechanism that sits within the door. As you can see from the picture below, the dummy door knob sits flush on the outward facing part of the door. 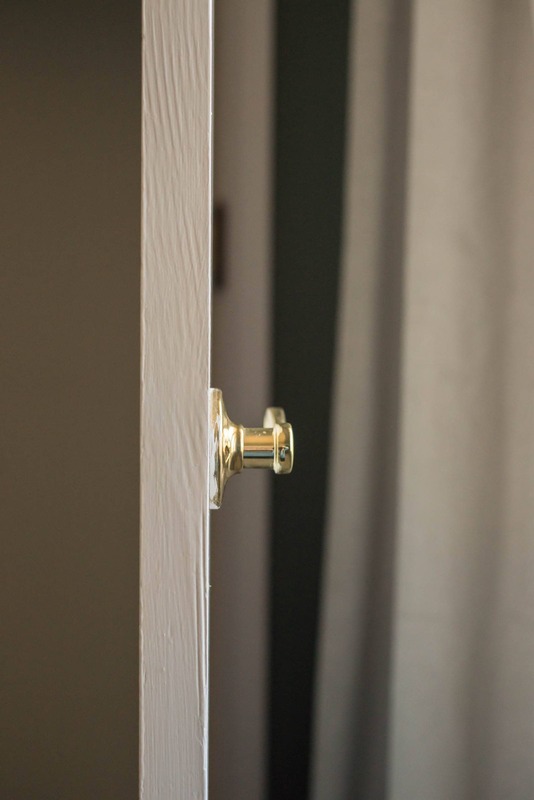 These types of door knobs are common for double hung closet doors. I knew I wanted to share a video tutorial with you guys for this project because it’s easier to explain what I’m doing verbally. So, the video can be watched below or over on my Youtube channel. The first thing you have to do when installing a new door knob is to remove the old one. How To Remove An Old Door Knob? It’s a SIMPLE process. Grab a screwdriver with a head that matches the screw pattern of the screws that are holding the door knob in. Unscrew the screws and pull the door knob off. It’s really that simple. Remove the old door knob. If the screw pattern of the old door knob and the new door knob are the same, screw in the new door knob. 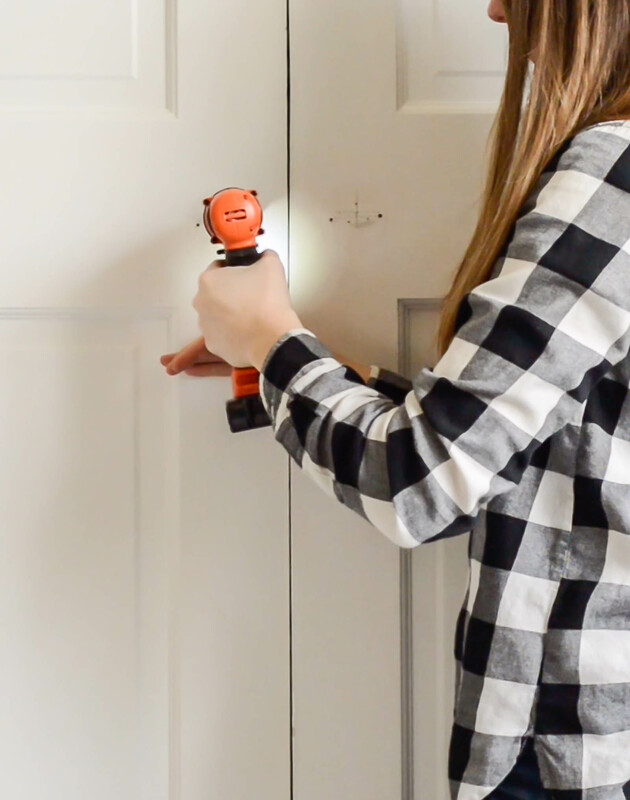 If the screw patterns are different, find the center of the door, using a level, make sure your new door knob is level and mark the screw holes with a pencil. Drill pilot holes for the new screws. Follow installation instructions for your new door knob and attach. Our new set completely covered the holes that the old door knob made, so we left the original holes as-is and installed over them. This project shouldn’t take you longer than thirty minutes or so. It’s really not that hard and doesn’t require that many tools, which is great for an entry-level DIYer. 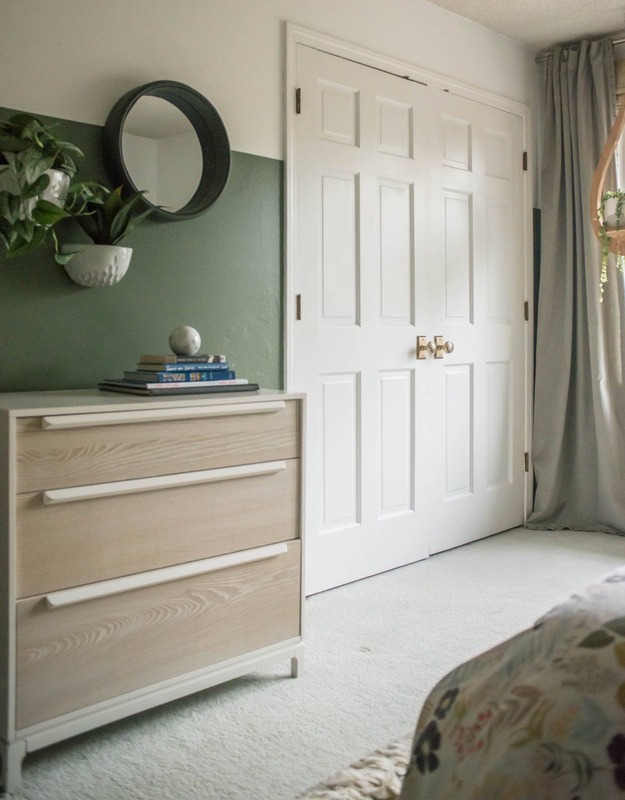 If you want to try it and aren’t sure how to mix and match your door style with door knobs, my friend Sarah at Room for Tuesday did an amazing round-up of Statement Interior and Exterior Door knobs. She even has the one I used included in her post. This project sparked some major guest room decluttering, which was amazing! The hope is to install oak hardwoods in this space this year. So, after that, we’ll be doing more quality upgrades like bigger baseboards and new lighting. I’m excited!